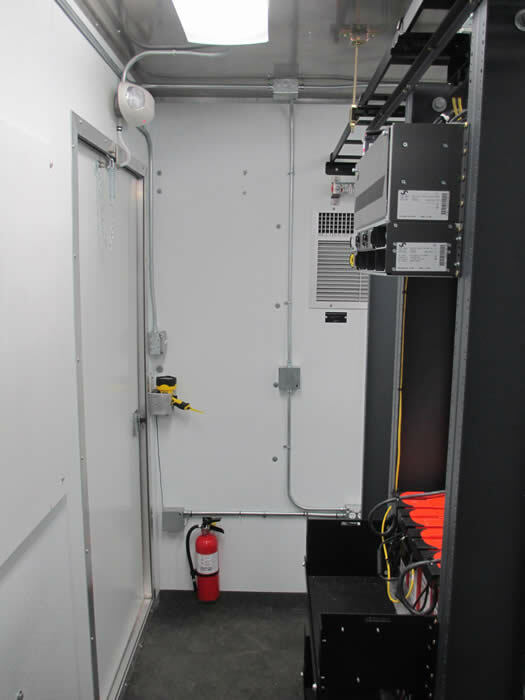 Our Mobile Hybrid Power Solutions use solar panels, -48VDC rectifier systems / -48VDC battery strings and diesel or propane generators. 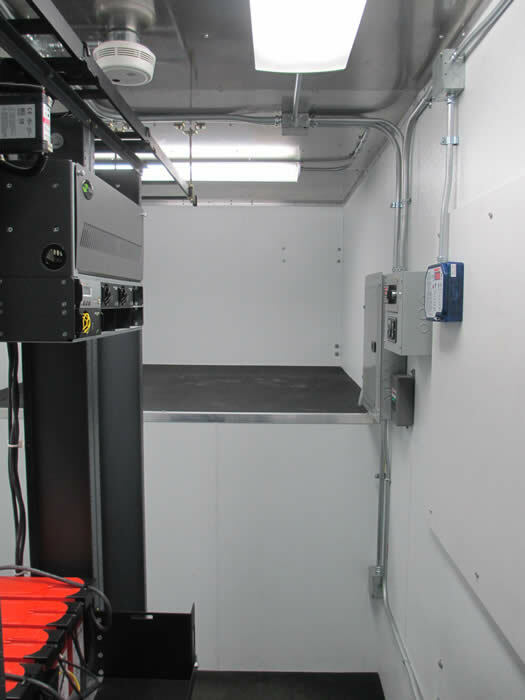 These systems offer autonomous operation, meaning they can operate in stand alone mode through the use of the solar controller to use solar power to charge the batteries during the day and the generator to charge the batteries at night. We can offer these solutions for any of our mobile cellular soluations described on this website, or in any custom applications, such as the one described below. 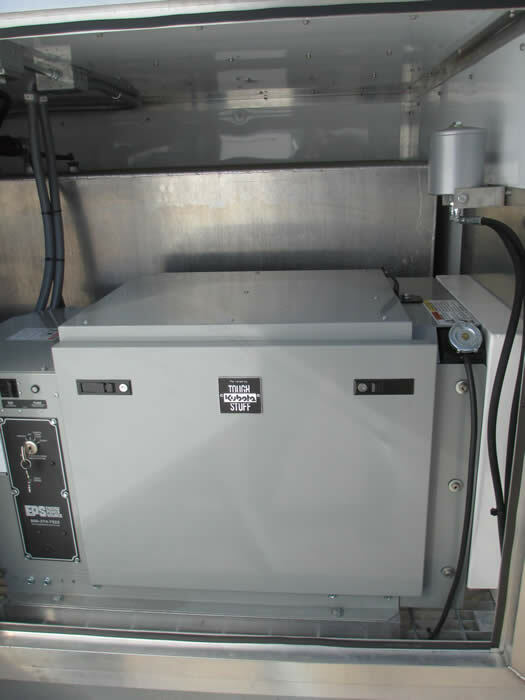 This Site on Wheels (SOW) application below includes a 25A -48VDC load that is powered by a 1200W solar array and -48VDC power system supported by (3) strings of 90AH batteries and an EPS 12KW diesel generator, equipped with a 400 gallon all aluminum fuel tank. The solar panel array includes (6) 250W solar panels secured inside of an all aluminum frame on the roof, hinged on one side and supported / lifted on the curb side by two large screws (can be actuated with a hand held drill). 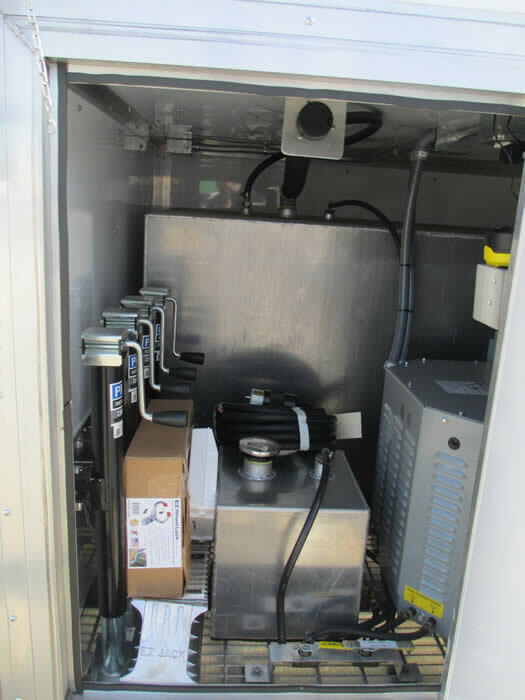 The generator and fuel tank are enclosed in the front sealed compartment; this generator is supported by a Kleenoil oil filtration system, and includes a small 8 gallon starting tank in addition to the 400 gallon tank for use in the application. 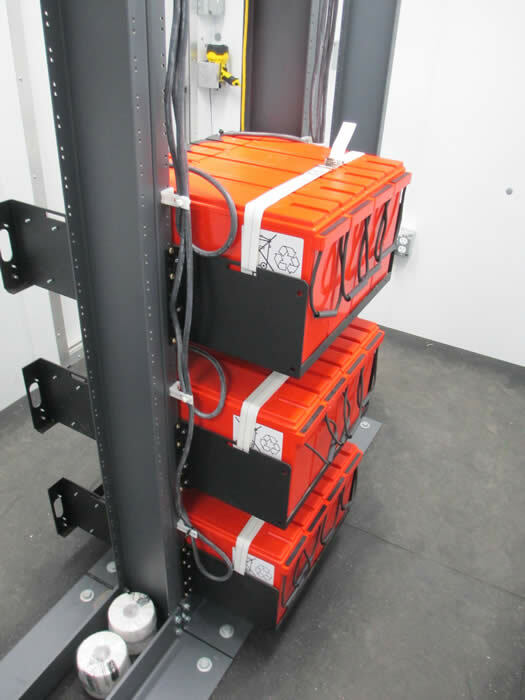 The breaker panel and the rack equipped with the -48VDC power system and batteries are inside the main compartment, which is cooled and heated with one 1-ton air conditioner (e/w 3.6KW heater). 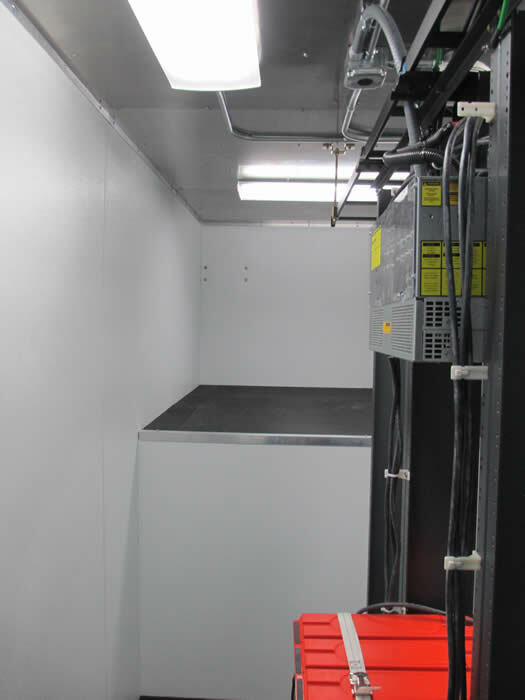 Two empty racks are also provided inside for the customer's equipment. This trailer's overall package size is 23'L x 8'-6"W x 10'-7"H (18'L deck), equipped with a drop-leg jack on each corner of the trailer and (2) 7,000 lb axles (15,000 lb GVWR); all aluminum R-10 insulated shelter is 16'L x 82"W x 8'H, witih the generator compartment being 6'D x 4'H.